The Royal Military College of Canada Department of Physics and Space Science is honoured to welcome Canadian Space Agency President Sylvain Laporte and DG Space Director Space Strategy and Plans LCol Catherine Marchetti on 30 April 2019 for RMC Space Day. Dr. Jennifer Shore and Mr. Peter Snell of The Department of Physics and Space Science have published a study of water flow in Picton Bay. The annual Physics for Defence public lecture presents unclassified research carried out by faculty in the Department of Physics and Space Science, and its connections with the mission of the Department of National Defence and the Canadian Armed Forces. 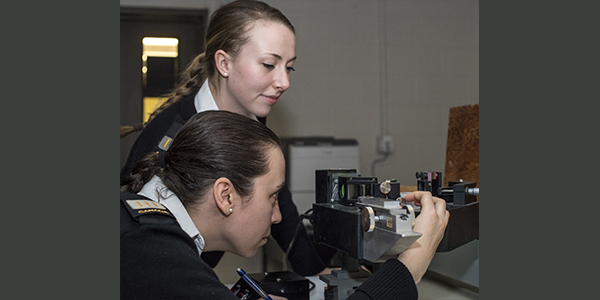 Two Officer Cadets use an optical interferometer to measure the wavelength of the light emitted by ionized mercury gas. 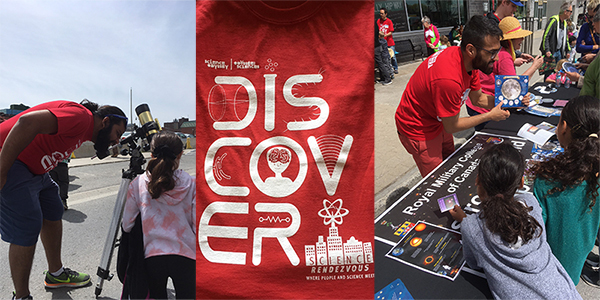 RMC Physics & Space Science teamed up once again with Queen’s Astronomy and the Kingston RASC in support of Science Rendezvous 2018 at the Kingston K-ROCK Centre. The 2018 Canadian Association Physicists (CAP) Lecture, entitled "Energy and Society: What Kind of Energy for the Future of Humanity?" 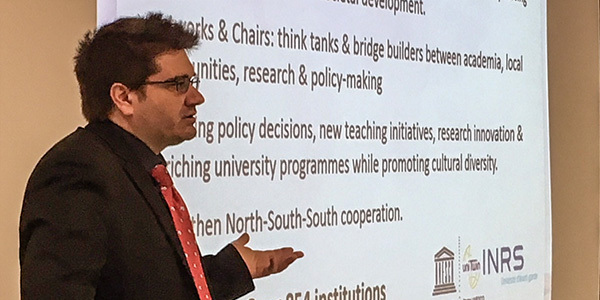 was presented by Dr. Federico Rosei of the Institut national de la recherche scientifique (INRS). Nanolithography conducted on a polymer film in Dr. Sabat’s lab. 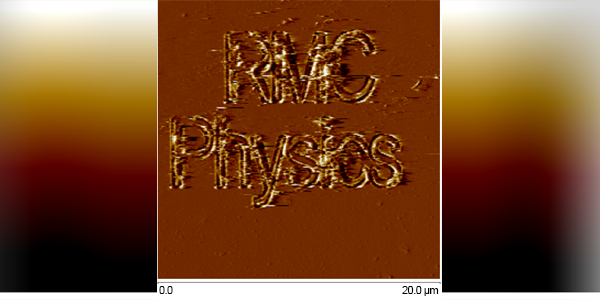 The image scale is approximately 20 micrometers, or 2-3 times smaller than the average diameter of a human hair. An RMCC Officer Cadet (left) holds a GPS drifter, used to measure currents in lakes and rivers. 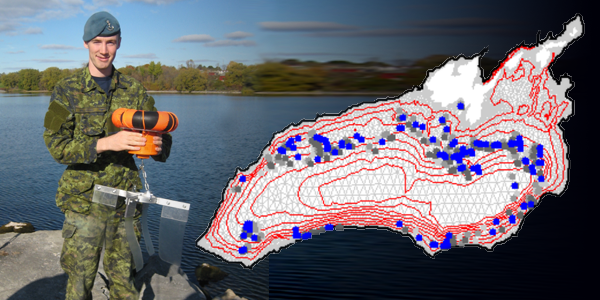 Drifter position data are recorded over time, as depicted by the blue dots in the map of Lake Ontario (right). 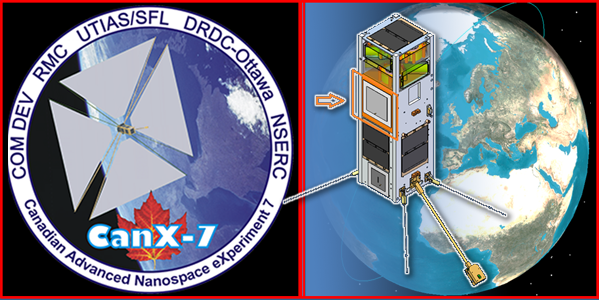 RMC’s first orbiting payload was recently launched on the CanX-7 nano-satellite. Dr. Juliette Mammei of the University of Manitoba gave a lecture entitled "Low energy searches for physics beyond the standard model" as part of the 2017 Canadian Association of Physicists (CAP) lecture tour on Thursday 16 March 2017. 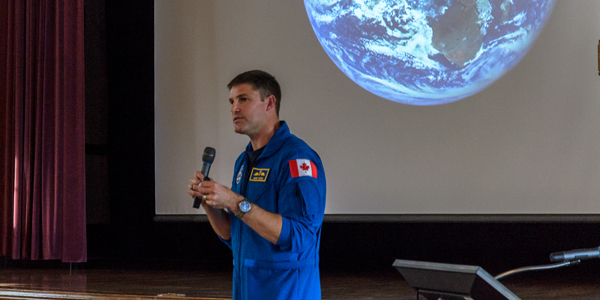 Canadian astronaut 21364 LCol Jeremy Hansen visited the College as part of Reunion Weekend 2016. 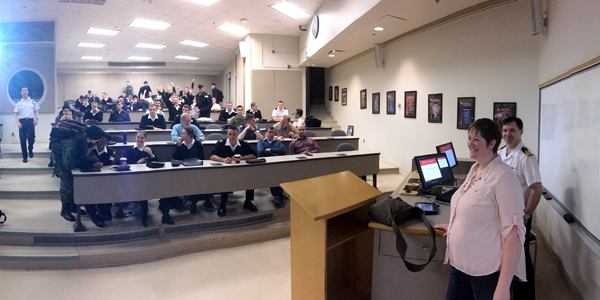 LCol Hansen gave a lecture on the history of the Canadian space program. The RMCC Physics department operates several optical telescopes. 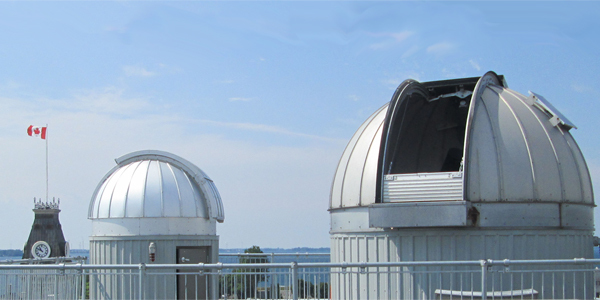 The observatories are located on the roof of the Sawyer Science Complex. Between 2007 and 2017 satellite infrared data revealed persistent low-level dust clouds in the vicinity of Amundsen Gulf in the Western Canadian Arctic during the melting season. Evidence suggests that the subsequent deposition of atmospheric dust in the region affected the surface emissivity in the thermal infrared regime. Satellite images in visible and infrared (19 July 2016) showing dust deposition in Amundsen Sound and effect on surface temperature of land and water. See also Arctic Dust article on CBC News web site. On the morning of 8 May 2018, a group of twenty-two intrepid RMC Officer Cadets and five staff members boarded a CC130H Hercules, compliments of 424 Transport & Rescue Squadron, to fly to Houston, TX for a memorable visit of NASA’s Johnson Space Center (JSC). The project will build the infrastructure, computing capability, and expertise needed to process the overwhelming flood of information being produced by next-generation radio telescopes. The programme requirements for the undergraduate Physics programme and the Space Science programme at the Royal Military College of Canada. Course descriptions for the undergraduate Physics and Spcae Science courses offered at the Royal Military College of Canada. Information on the graduate studies physics programme requirements and course descriptions at the Royal Military College of Canada.